Are you looking for a way to lose abdominal weight? 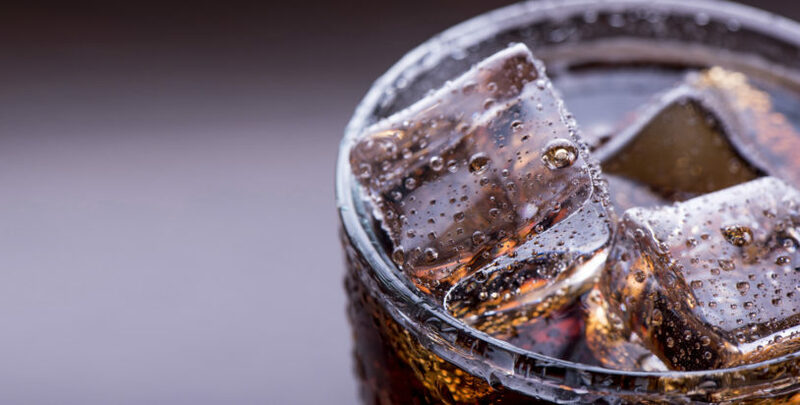 Patrick Friedli, MD, the medical director of Munson’s Healthy Weight Center, may have one of the simplest ways to shed a few pounds: Eliminate sugary beverages from your diet. Yes, that means you should quit drinking pop. “Time and time again, if I can convince someone to give up pop or sugar-sweetened beverages, they drop weight,” Dr. Friedli says. A typical 12-ounce can of pop contains the equivalent of nine sugar packets—just like the type of packets you put in your morning coffee. And a 20-ounce bottle contains close to 17 sugar packets. That’s a lot of sugar in a serving that can impact your waistline quickly. To explain the process of how drinking sugar leads to an increase in waistline, Dr. Friedli likes to use a clock metaphor. Imagine that 12 o’clock represents when you intake sugar. By 3 o’clock, you have a spike in insulin. Insulin’s job is to regulate body sugar. If you’re not physically active, your muscles don’t need the sugar so it’s delivered to your liver, and the remaining sugar goes to belly fat. When this belly fat accumulates sugar, 6 o’clock represents insulin resistance, or Type 2 Diabetes. Abdominal circumference is part of what the Healthy Weight Center measures in their healthy weight program. A circumference above 40 inches for men and 35 inches for women is considered high risk for Type 2 Diabetes or insulin resistance. Back to the clock metaphor, when we accumulate too much abdominal fat—also known as visceral fat—we look at 9 o’clock. Visceral fat sends signals to our brain to make us hungrier and we crave what started the whole process to begin with—sugar. We’re now back to 12 o’clock, consuming more sugar. In addition to pop, juice can also spike insulin and cause weight gain. While there are vitamins in juice, these vitamins don’t outweigh the negative effects of drinking too much sugar. While making a lifestyle change, Dr. Friedli also recommends keeping his “75210 Zip Code for Health” in mind. 7 – How many breakfasts a week you should be eating. Preferably not high sugar cereal, but foods with more protein. 5 – Number of vegetables and/or fruit you should eat per day. 2 – Two hours or less of screen time a day (your job and homework don’t count; video games, movies, etc. do). 1 – One hour or more of physical activity a day (the hour can be counted in increments, and activities like gardening count). 0 – Zero sugary drinks each day. “I think there’s a lot of popular diet fads out there. Most diets will fail if they’re too restrictive, but in this case, sugary drinks are something that don’t provide any benefit to our nutrition. We need to eat. We need fuel and carbohydrates—but they need to be the right kinds, preferably veggies and fruit.